The event will start and end at Easterday Farms showcasing the beautiful Easterday Farm countryside. With two distances to choose from 30 mile "Goose Gap" and 23 mile "Fury Road". Enjoy courtesy aid stations along the way as well as a lunch at the end for all participants and fun for the whole family! Bring your whole crew and ride through the highest heights southeastern Washington has to offer. 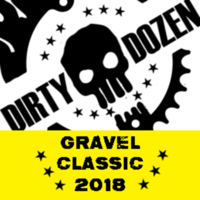 The Dirty Dozen Gravel Grinder Classic is the Northwest's Premiere Mountain/Cyclocross event! Location: Easterday Farms Potato Sheds. Take 395 Southbound then take Exit 122, Turn left on Coffin Rd, Turn right onto 9 Canyon Rd, then it will just be on the left side, you'll see the potato sheds and parking. Swag Bag with tons of goodies for the event!